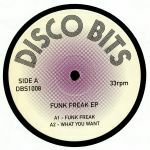 Review: Night or day, we're always happy to receive a new version bundle from the mysterious (not to mention brazen) editors Disco Bits. 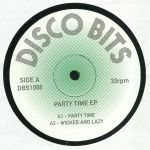 For their latest excursion "Party Time" takes things out of control with a massive vocal hook every dancefloor knows and loves, "Wick & Lazy" is a ticket on the express to funk town while "Ain't No Cruel Intentions" brings a cruel twist to a Khan and Rufus joint. Finally "Jubilation" brings us all a little closer with solid strums and campfire chorus. Less disco bits and more disco wholes; these will pep up any flagging floor. Next online in 26 hrs 42 mins.